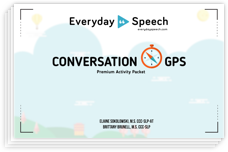 Everyday Speech is one of the leading providers of social skills learning materials. Our library of videos, activities & games is used by tens of thousands of Speech and Language Professionals working in schools and private practices across the world. Starting this February, we are making these materials available to parents free of charge on afternoons and weekends. Your child may already use Everyday Speech materials in school, so make sure to ask their teacher if this is the case. 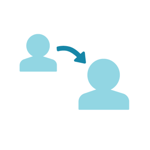 The Social Learning Platform is our online portal for accessing the videos, activities & games. You can sign up for a free account at any time. We’ll be unlocking all the materials on the site each weekday from 3:00pm EST till midnight and all day on Saturday and Sunday. During these times you can work with your child on a range of social skills, from conversation etiquette to making eye contact. If you have any questions, feel free to send us a chat and we'll be happy to help. Continue your child's social skills learning outside the classroom with hundreds of social skills videos & other materials! During the month of February, access all of our content 100% free weekdays starting at 3:00 EST and all weekend long!